Crossposted at the HuffingtonPost.com. Comments not included here. I confess. When the Cheese Princess landed in Paris, she'd wanted to do two things: 1. Go to the Institut du Monde Arabe and 2. Visit the Catacombs (which had been closed the last time she was in town). But as is sometimes the way of travelers and visiting children, neither one of these was checked off her Paris list. Does this mean I'm a bad tour guide or mother? Truth is I had wanted to go to the Institut du Monde Arabe the whole time I've been in Paris--and even advised others to cut a trail over there--but somehow haven't gotten there myself. Forget the fine exhibitions that have been shown there. 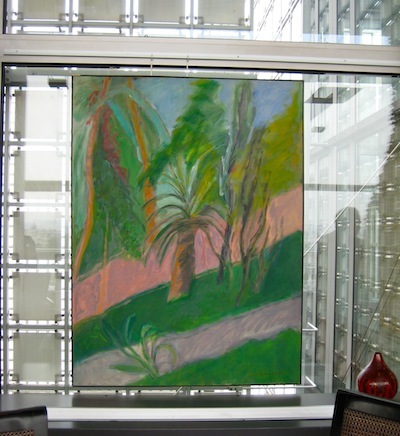 I knew of the glory of the Institute's rooftop terrace with its fantastic view and its restaurant "Le Zyriab" by Noura. Since I'm addicted to Middle Eastern food, you'd think I would've made the effort for that alone...but no. 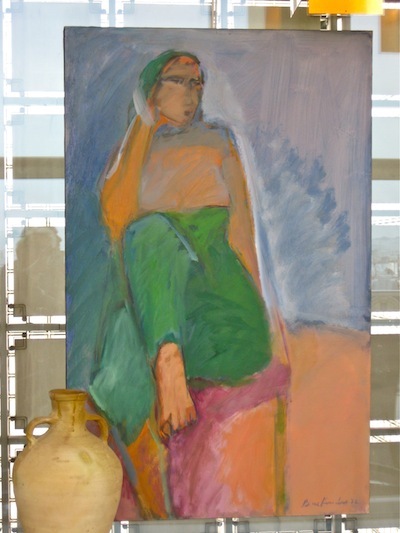 So when we got the wonderful invitation to attend a reception to honor our friend Anne PierreHumbert and her gift of 11 of her late husband Charles PierreHumbert's North African paintings to this elusive museum that I couldn't get myself to, we were exceptionally pleased. As fate would have it, we received it the day after The Cheese Princess left. Timing is everything. 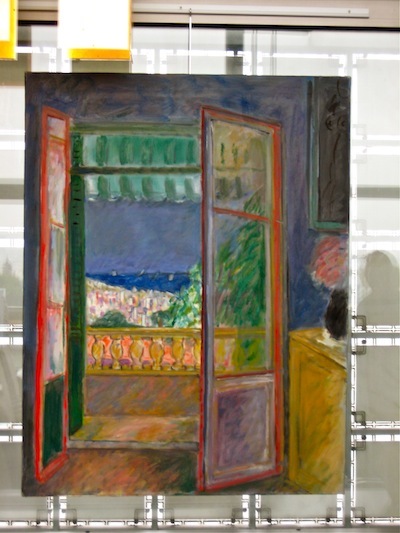 The Lone Wolf and I had made the acquaintance of Ms. PierreHumbert when we first arrived in France almost eight years ago to chase artist Henri Matisse. 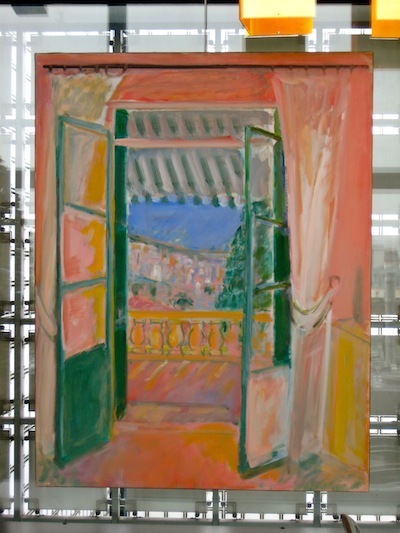 As we searched out the places that were important to the life and work of Matisse, a poster of a stunning painting that was advertising an exhibition at the Galerie Daniel Besseiche kept commanding our attention. The Lone Wolf was compelled to find this gallery, which is where we met our friend Alice who ran it and who then introduced us to Ms. PierreHumbert, the widow of the the artist. It was our lucky day. 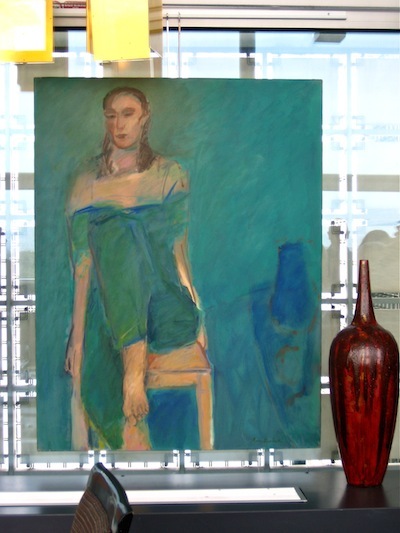 We have been friends with this gracious, beautiful, and spirited woman ever since--and we have been fortunate to visit Charles PierreHumbert's studios both in Paris and Provence. M. and Mme. 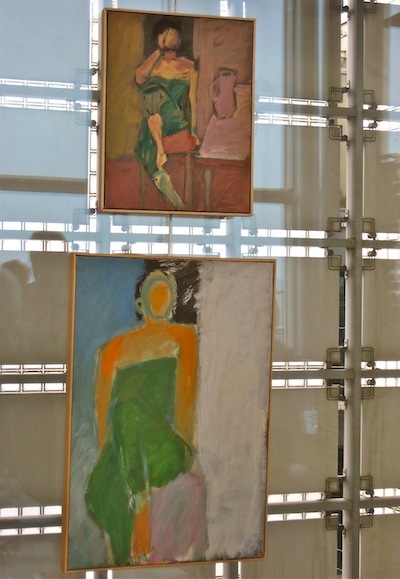 PierreHumbert were also great admirers of Henri Matisse as we are. Congratulations, Anne PierreHumbert and the Institut du Monde Arabe! What a lovely addition to the collection. 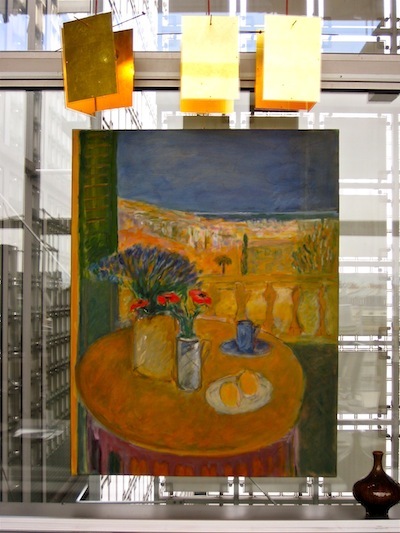 At the moment, the paintings are being shown in the light-filled restaurant on the 9th/terrace floor. Unless otherwise indicated, all photos by Beth Arnold.